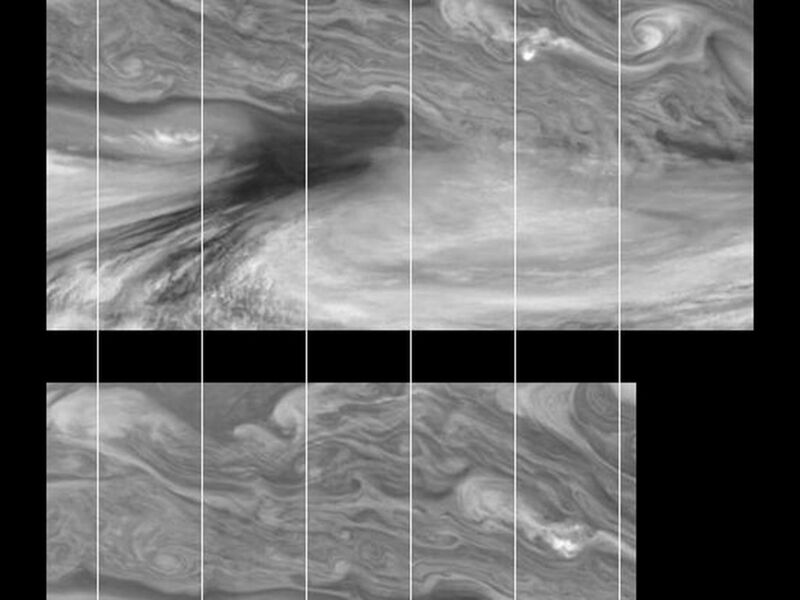 Time sequence of Jupiter's equatorial region at 756 nanometers (nm). The mosaics cover an area of 34,000 kilometers by 22,000 kilometers and were taken ten hours (approximately one Jovian rotation) apart. The dark region near the center of the mosaic is an equatorial "hotspot" similar to the Galileo Probe entry site. The near-infrared continuum filter shows the features of Jupiter's main visible cloud deck. Jupiter's atmospheric circulation is dominated by alternating jets of east/west (zonal) winds. 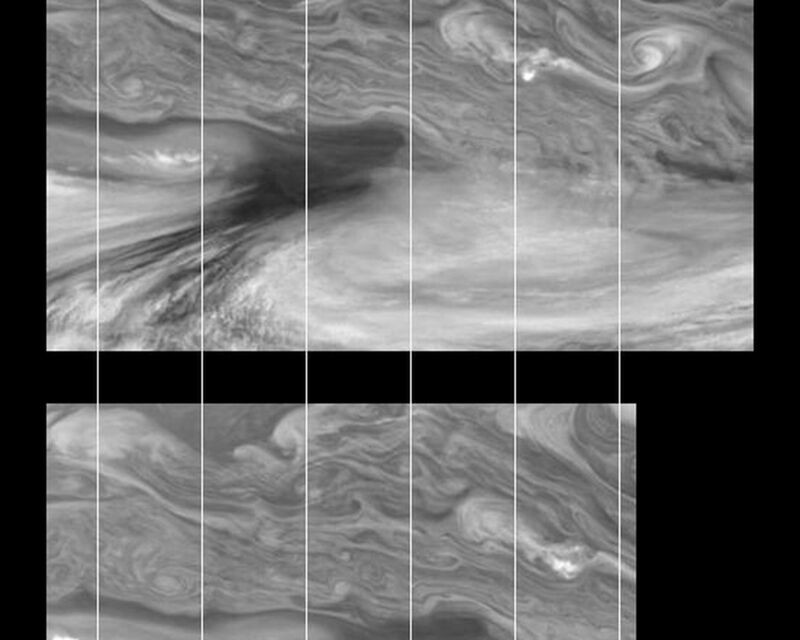 The bands have different widths and wind speeds but have remained constant as long as telescopes and spacecraft have measured them. 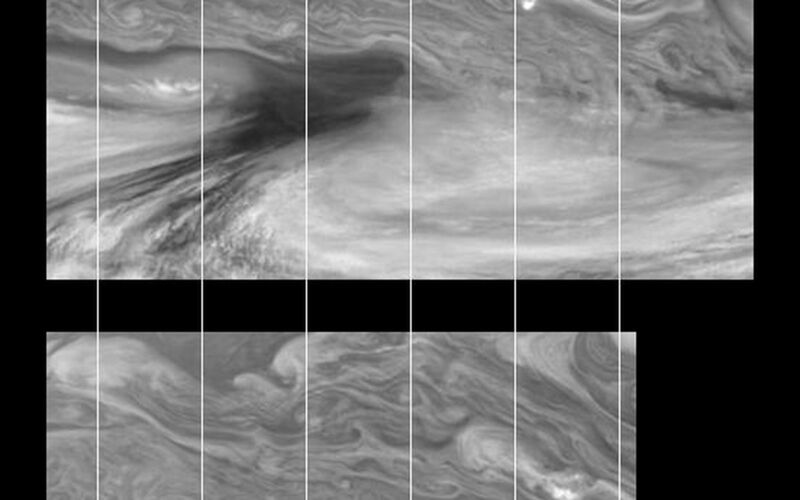 The top half of these mosaics lies within Jupiter's North Equatorial Belt, a westward (left) current. The bottom half shows part of the Equatorial Zone, a fast moving eastward current. The clouds near the hotspot are the fastest moving features in these mosaics, moving at about 100 meters per second, or 224 miles per hour. North is at the top. The mosaics cover latitudes 1 to 19 degrees and are centered at longitude 336 degrees West. The grid lines, fixed in longitude, mark 350 degrees west (on the left edge) with decreasing longitude lines marking every 5 degrees moving east (to the right). The smallest resolved features are tens of kilometers in size. 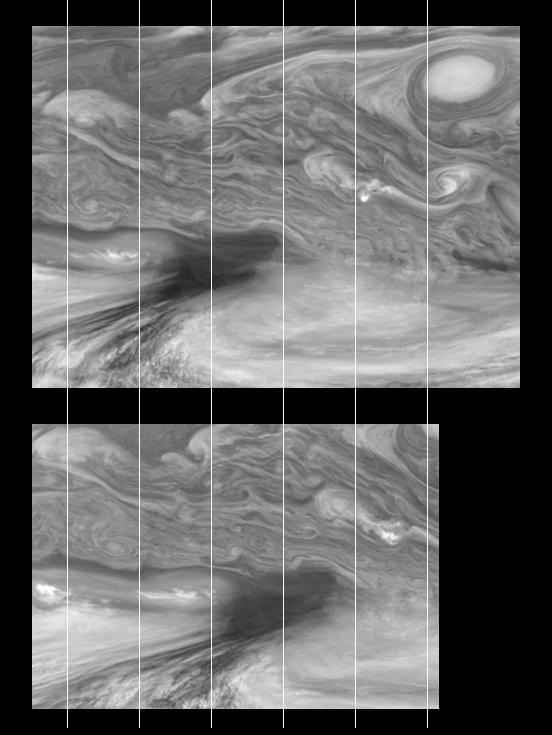 These images were taken on December 17, 1996, at a range of 1.5 million kilometers by the Solid State Imaging system aboard NASA's Galileo spacecraft.